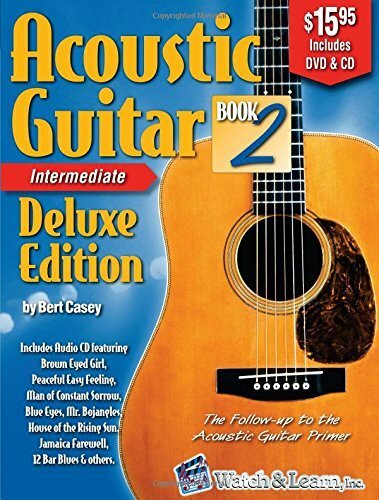 Acoustic Guitar Book 2 with DVD & CD by Bert Casey is the followup course to Acoustic Guitar Primer. This comprehensive book for intermediate players takes your rhythm playing to the next level by teaching a variety of rock & country strums, arpeggios, bar chords, and how to play along with other guitarists. By using 17 popular songs, the student plays and sings along with a full band on extended versions of all songs.